We absolutely LOVE the new Toy Story Land at Walt Disney World! 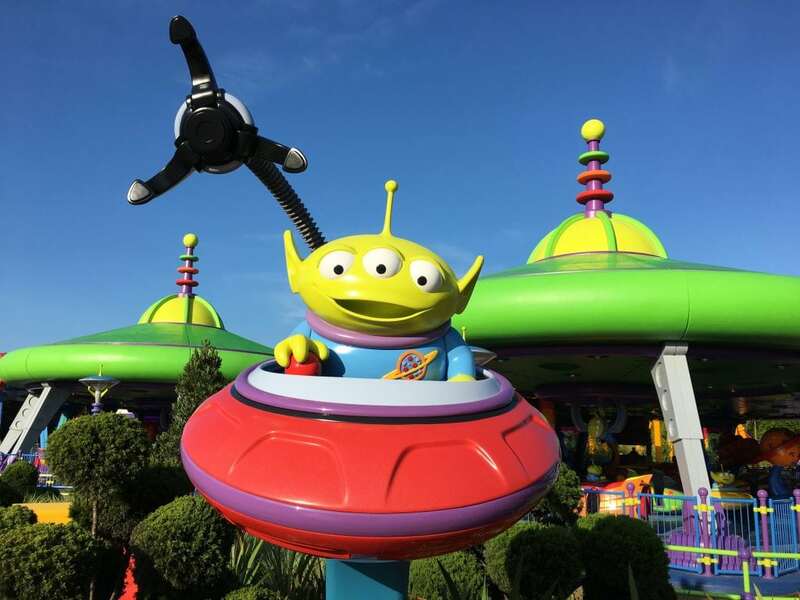 And one of the reasons Toy Story Land is so colorful is because of the Toy Story aliens and their new ride, Alien Swirling Saucers. 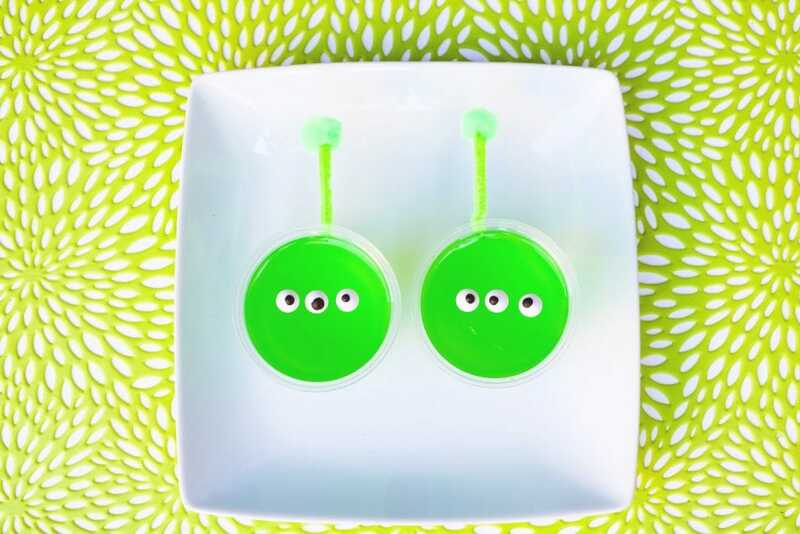 Which was the inspiration for these cute Toy Story alien gelatin cups. 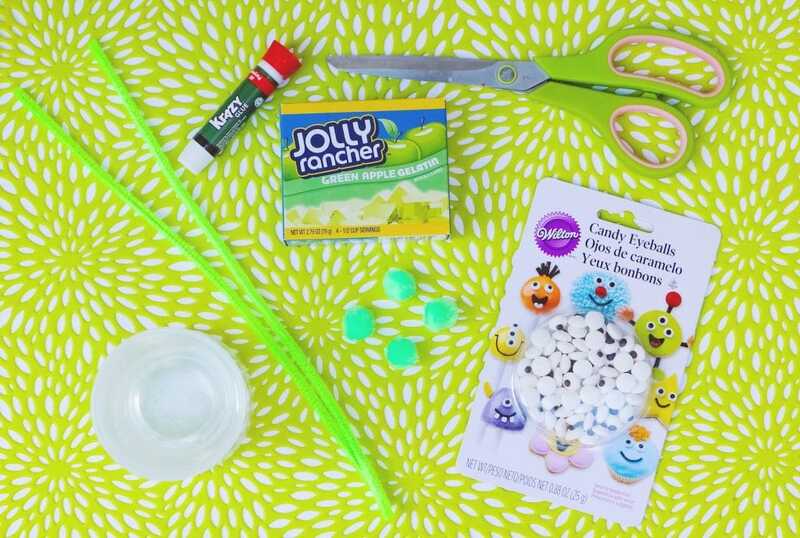 What better way to get the kids excited about visiting Toy Story Land than to make some cute, no bake snacks in the shape of Toy Story aliens? If you’re heading to Toy Story Land at Walt Disney World, binge watching the Toy Story movies (every parent can relate to that!) 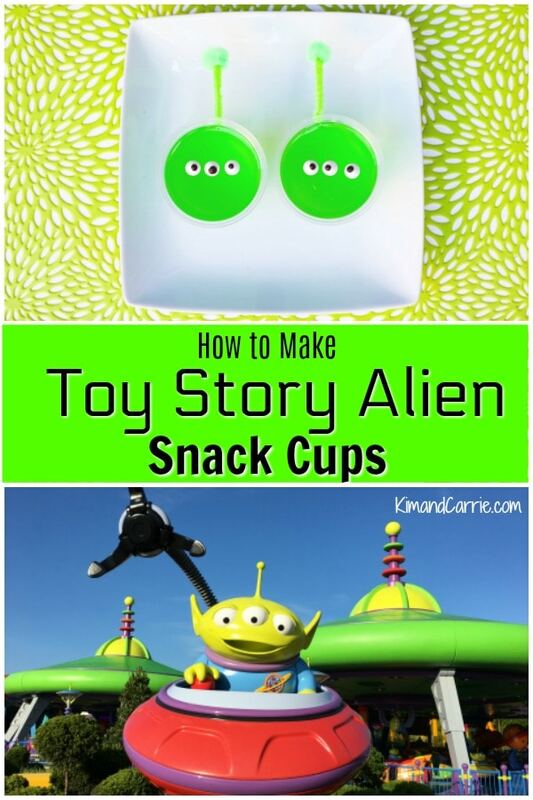 or looking for fun Disney food to make at home, these Toy Story Alien Gelatin Cups are perfect for you. Cut the lime green pipe cleaners into thirds. Use a very strong glue, such as Krazy Glue, to glue pom poms to the top of each pipe cleaner to make an alien antenna. Once your alien antennas are dry, glue one to the outside of each plastic dessert cup. Meanwhile, make the gelatin according to directions on the box. Fill the dessert cups with liquid gelatin mixture. Place your cups onto a plate so you can move them in and out of the refrigerator with ease. Refrigerate the cups until they are set. 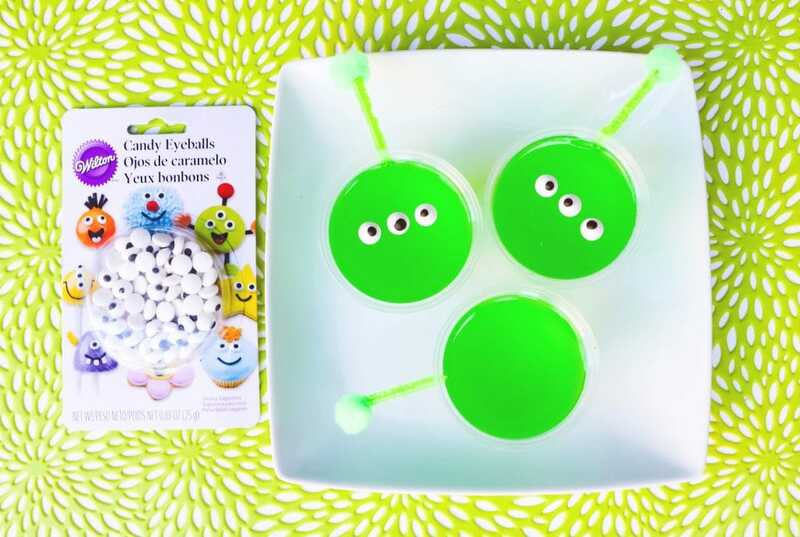 Once the gelatin has solidified and is cooled, use the candy eyes to decorate the alien cup snacks to look like Toy Story aliens. If you need a little bit of help with the eyes staying in place, you can always use a dab of white frosting or whipped topping.